Every week TNW lies to you and calls this post a roundup. It isn’t. It’s really an executive summary of part of the week’s Microsoft news. It is impossible to sum an entire week of Microsoft happenings into a post that is at all palatable. That in mind, today’s weekly entry is more summary than usual. We’re focusing on just three stories: Windows Phone 8, Windows 8, and Surface. That’s it. 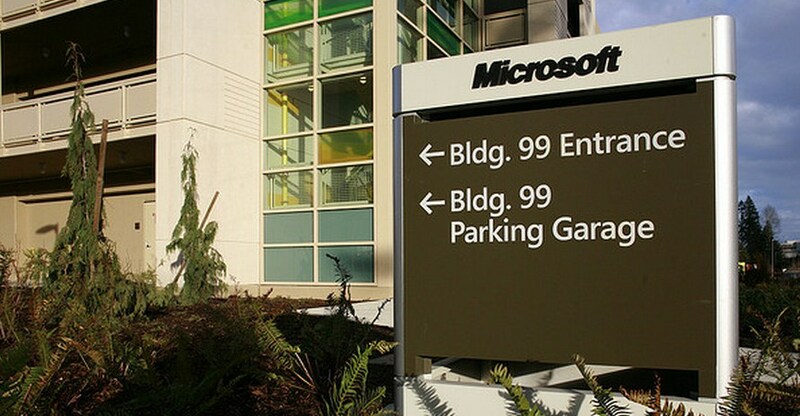 For all the rest, and there is much – Microsoft’s earnings, for example – the archives are your best friend. Now, do us the favor of double checking that you are following TNW Microsoft on both Twitter and Facebook, and we’ll jump into the mix. The Next Web already has a Windows 8 app in the Store, and there’s also the built-in apps from Microsoft such as Bing, which should be updated prior to launch. We’re not sure how many apps are actually in the Store, but it could be around the 2,000 mark – as our very own Alex Wilhelm notes. Wilhelm also says that no smartphone platform can survive with a weak app pool, but this isn’t something Windows 8 necessarily has to worry about. People will be using Windows 8 anyway…it’s the default operating system for most of the computer-using world, so it can afford a slower bedding in period as it builds its armory of apps. What’s interesting is that there is no time. General availability is around the corner. Therefore, this is no academic question. Either Windows 8 has a well stocked app store at launch or not. TNW will have more on this issue in the coming days – certain companies have apps on the way that you will like. But we can only see so far around the corner. On launch, we’ll have fresh perspective. For example, Netflix recently launched its Windows 8 application. Windows 8 is currently atop the Amazon software sales charts. […] Yes, General Availability remains a ways off for Windows 8, but this sort of early interest in pre-orders indicates a pillar of support at least from part of the computing market; Microsoft does indeed have its fans, and it would appear that they are taking to the site to get their hands on the next version of its operating system just as quickly as they can. And it has stayed there. Since that story, Windows 8 has – to the best of our knowledge – not slipped from the top slot. Now, we’ve checked but a few times a day recently, but the pattern is set: among the folks who buy software, Windows 8 is a hit. How well Windows 8 will perform in the public sphere once it becomes generally available is a different story. But among early adopters, the product is selling. For more on how that fact impacted Microsoft’s earnings head here. Windows 8 is quite seriously just around the corner. Gussy up, gents and ladies. Today TNW received its final, formal invitation to Microsoft’s upcoming Windows Phone 8 event on the 29th. Teased in that invitation are Skype, Facebook, and Internet Explorer, as applications. It’s not hard to parse that: New versions of each are coming. Skype itself is an interesting case, but more on that later. Facebook for Windows Phone remains a weak experience, so to have an update in that regard would be a treat. Internet Explorer? That’s either Internet Explorer 10 or bust. It won’t be an update to 9, if it made it into the invitation, right? Handsets from several OEMs are already out and announced in the market. More news will be welcome. TNW knows a few things that are currently under embargo that we can’t share quite yet. However, rest assured that good things are coming. If you are a Windows Phone fan, don’t let your hangover from the Windows 8 launch last too long – you’ll want to be sharp for this one. If you missed the news, the Surface is now up for pre-order. Yes, you can drop $499 to snag one of the devices right now, for later delivery. However, the cheapest package has sold out, meaning that if you just want the tablet sans Touch Cover keyboard, you will have to wait a few weeks.